Amsterdam is a dynamic and growing metropolitan area that faces significant land-use pressures. Renowned for its tradition of collaborative planning, the city and its metropolitan partners must adapt to new conditions. Ongoing population growth is creating demand for housing and commercial space, and the new National Environment and Planning Act is challenging planners to adopt more flexible, responsive and integrated land-use management practices. 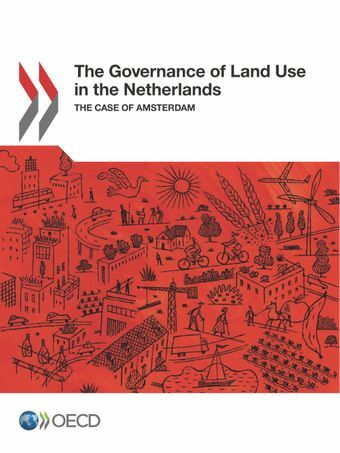 This study examines the social, economic and environmental conditions affecting the area’s spatial development as well as the plans, policies and institutions that govern how land is used. The study offers recommendations on how the city and its metropolitan partners can best respond to emerging challenges and meet their ambitious goals for sustainable and inclusive spatial development.